Interesting. 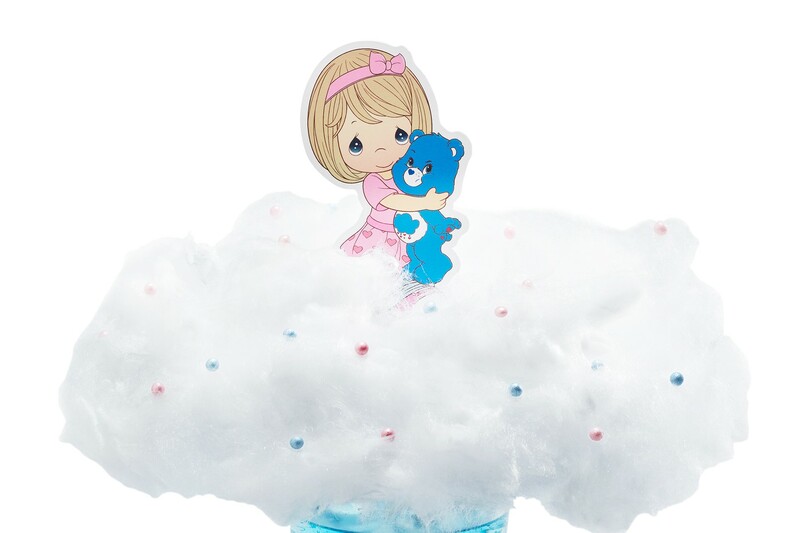 This pop-up café will feature two popular and well-loved characters – Precious Moments and Care Bears. 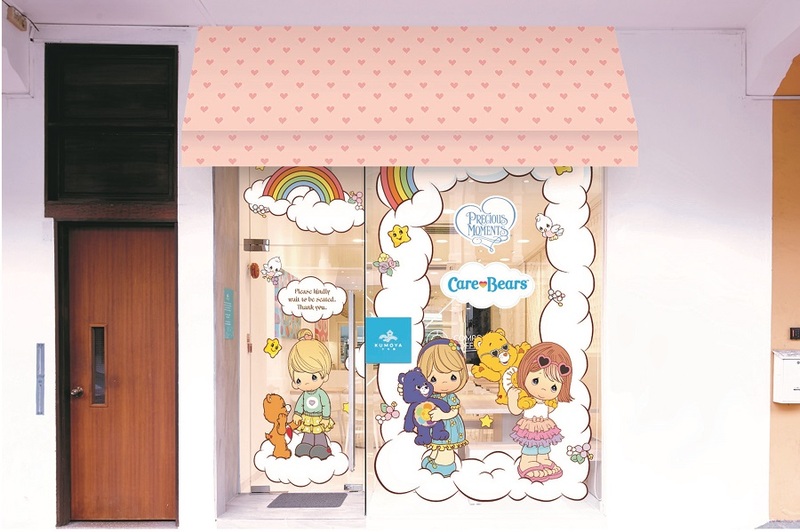 This is the first of its kind co-branded, cross over pop-up café in Singapore, and also the first co-branded Precious Moments and Care Bears pop-up café in the world. I must have one of those Precious Moments figurines around. Precious Moments was created by Sam Butcher whose passion was to make the world a better place by helping others share the gift of love. The pop-up café will be located at Kumoya, a Japanese-French café which offers food with no pork and lard, and no alcohol. 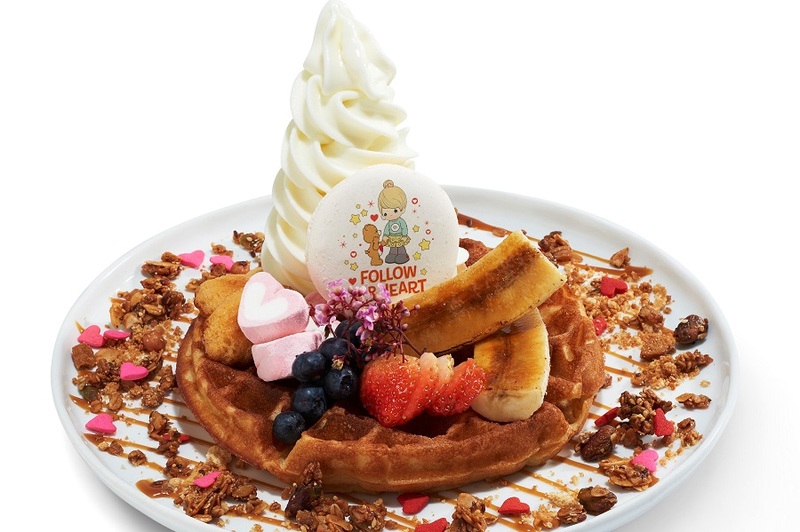 Kumoya is no stranger to character cafes, also behind Miffy Café, Cinnamoroll Café, Tokidoki, to Pusheen Cafe pop-up concepts. 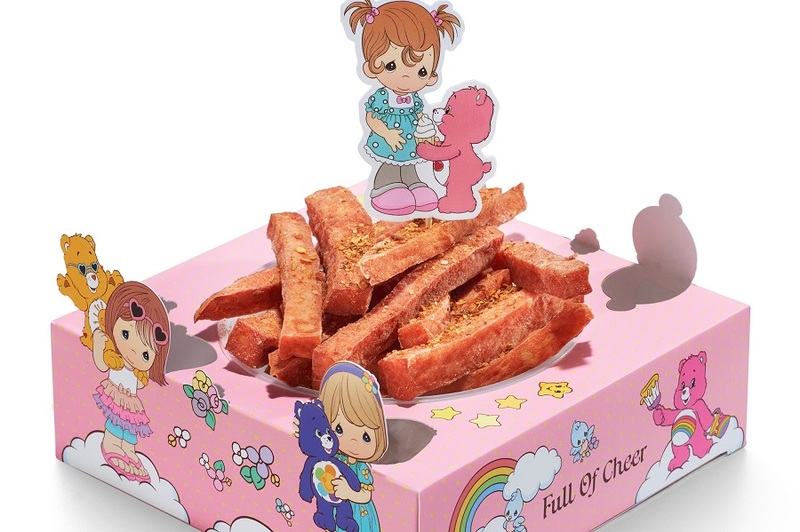 The menu will also feature Precious Moments + Care Bears inspired mains, desserts and beverages, specially designed by @LittleMissBento (Shirley Wong) together with the Kumoya kitchen team. 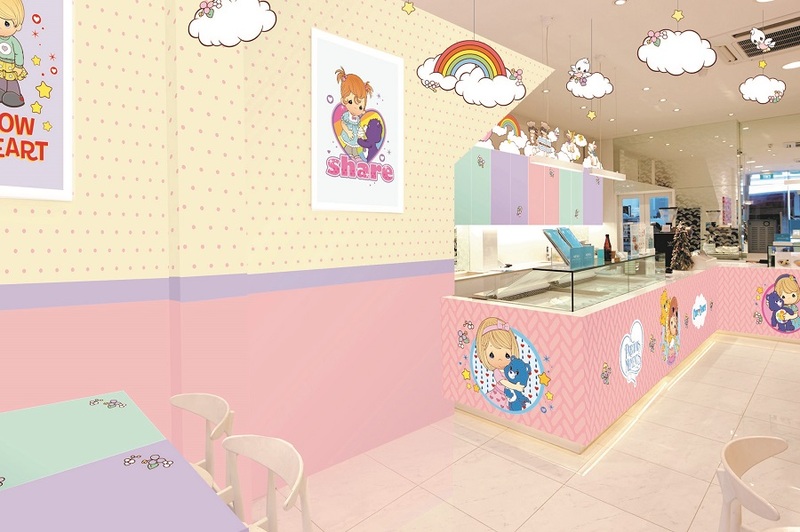 Shirley is also behind the menu design of several Character Cafes in Singapore, including Gudetama Café and My Melody Café Singapore at Suntec City. The café is not Halal-certified, though it has no pork, no lard and no alcohol served. 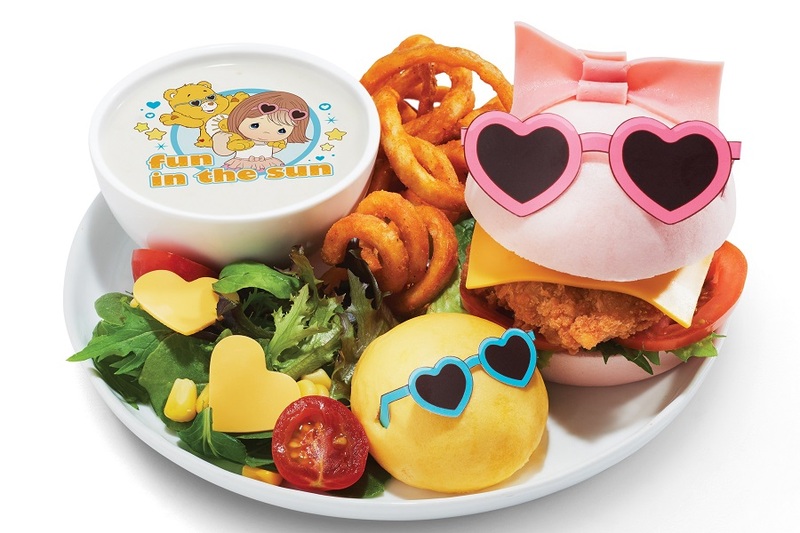 Chicken Katsu burger with teriyaki sauce, accompanied by crispy curly fries, fresh garden salad, cute cheese hearts and mushroom cream soup with cute prints. Japanese rice with soft egg crepe, butterfly pea flower cream sauce, breaded ebi, calamari, scallop, fresh tempura salmon, fresh garden salads, cute cheese and chicken ham hearts. Addictive chicken Spam “fries”, deep-fried to golden goodness. 3-tiered breakfast of Grumpy Bear blue berry buttermilk pancakes, sauteed mushroom tart, baked bean tart, mini scrambled egg cup, cute hearts chicken ham and cheese roll, chicken cocktail sausage and chicken patty. Homemade buttery waffles with fresh-churned Hokkaido soft serve, cute printed macaron shell, mini maple madeleines, cute marshmallow hearts, granola crunch, fresh berries and caramelised bananas. 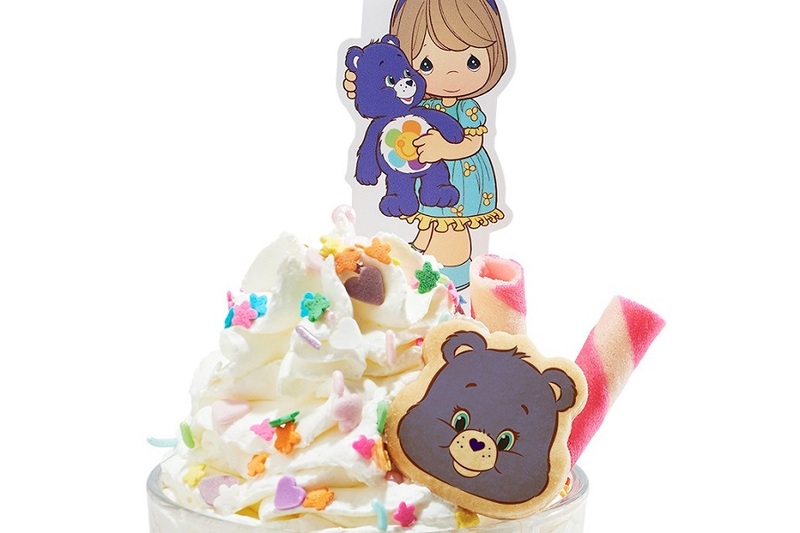 Brewed with mild Japanese coffee beans, topped with cute Harmony bear butter cookie, fresh cream, strawberry wafer stick, magic sprinkles and cute straw design. 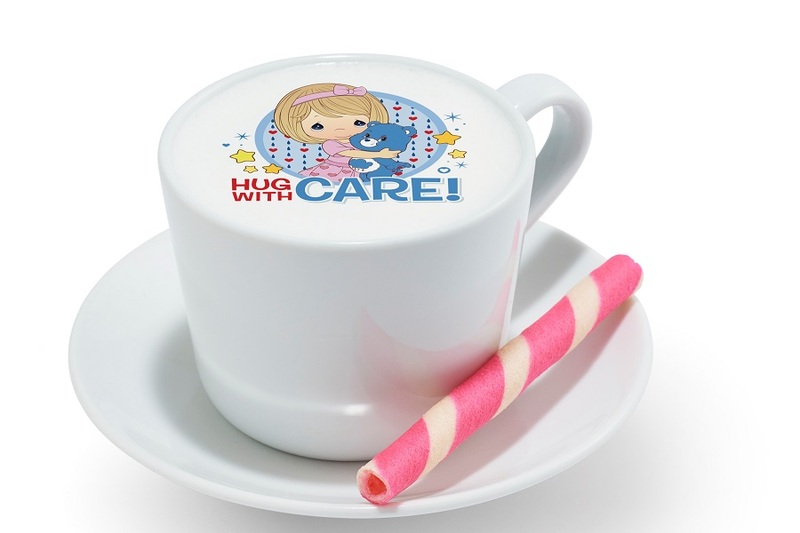 Handcrafted latte made with UCC Japanese coffee beans, strawberry wafer stirrer, cute Precious Moments and Care Bears limited-edition Grumpy bear prints. Note: There is a minimum spend of $10.00 per person. Also, the dining time may be limited to 90 minutes during peak periods. * Follow @DanielFoodDiary on Facebook and Instagram for more food news, food videos and travel highlights. Photos provided by Kumoya Cafe.